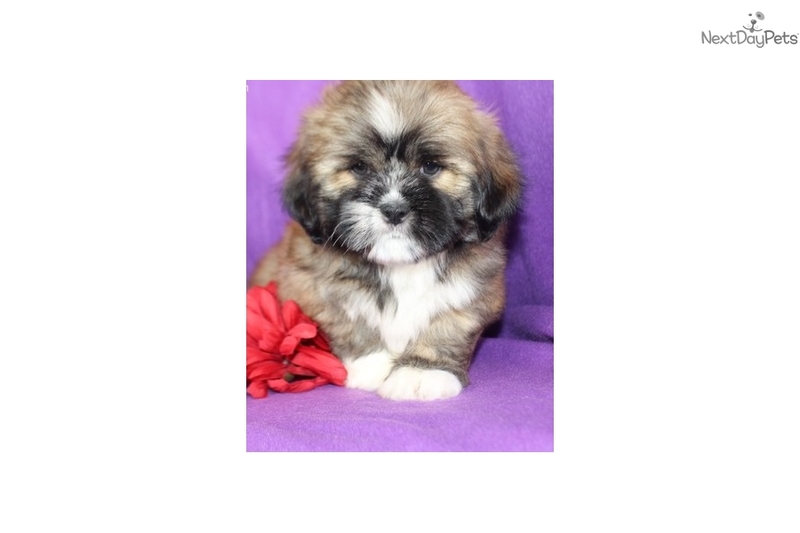 This Lhasa Apso nicknamed Candy sold and went to a new family. This is a hardy dog with a friendly, assertive manner. Intelligent and lively, it makes a good pet. Lhasa Apsos are spirited and devoted little dogs that are affectionate with their masters. They can be very obedient to their masters. This breed responds to motivational training. They have a keen sense of hearing, and make good watchdogs. The Lhasa Apso travels well. These dogs are good for apartment living. They are very active indoors and will do okay without a yard. Lhasa Apsos need a daily walk. Play will take care of a lot of their exercise needs, however, as with all breeds, play will not fulfill their primal instinct to walk. They will also enjoy a good romp in a safe, open area off lead, such as a large, fenced-in yard.